P-0851 Leaf swirl design embossed leather. 18" X 18"
Home > Pillows > P-0851 Leaf swirl design embossed leather. 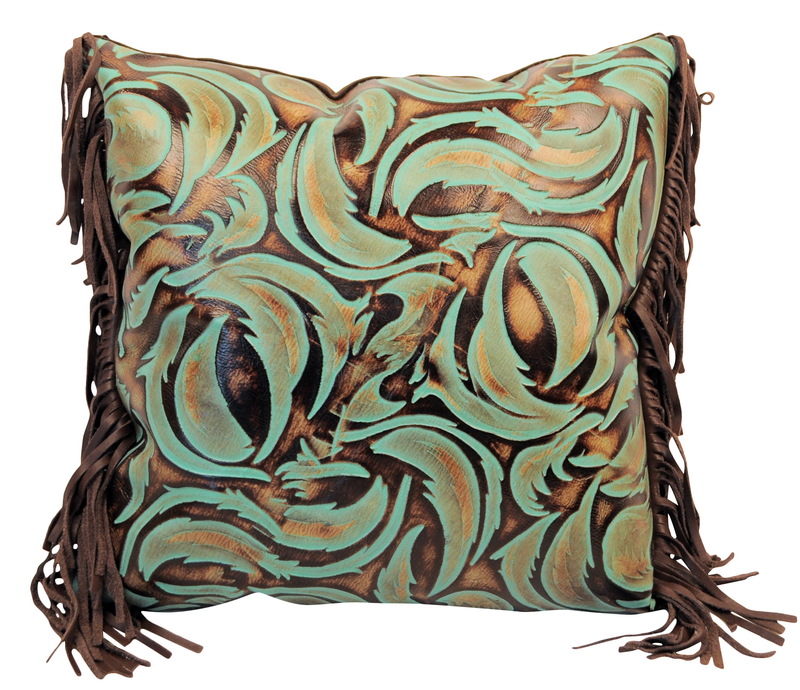 18" X 18"
Leaf swirl design embossed leather in turquoise color, brown fabric back and brown side fringe. 18" X 18"